I Love Barbecue. 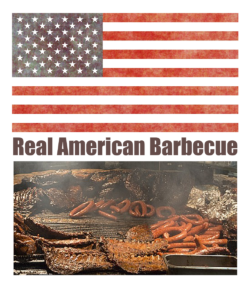 At home, at a campground, at a picnic or anywhere you can enjoy the outdoors and have well-prepared BBQ food. The problem is the moment you leave your backyard so you can enjoy the great outdoors you have to start hauling grills, charcoal, gas cylinders or even a generator so you can cook anything. 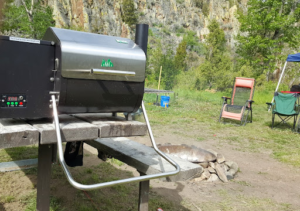 My little Green Mountain Grill – Davy Crockett grill weighs 68 pounds. That is before adding pellets and of course, it needs 110-volt power to run. You could take the small Weber Smokey Joe but then you have to haul charcoal and a charcoal starter. Then you have the issue is what do you do with the hot coals if you have to leave. You could bring a small gas BBQ but then you have to haul around gas cartridges and then you have the taste of propane in your food. The taste of propane is the main reason why I got rid of all my propane grills. Then there is the biggest issue in that if you live in a place that during dry periods they will not even allow you to have an open flame so you are back to eating peanut butter and jelly sandwiches. So I started doing some research. What I found is that there is another way to cook food in the outdoors without using any fuel or even electricity. They are called solar ovens and have been around for a long time. They also in the past had their own issues with being big, bulky and not very efficient. 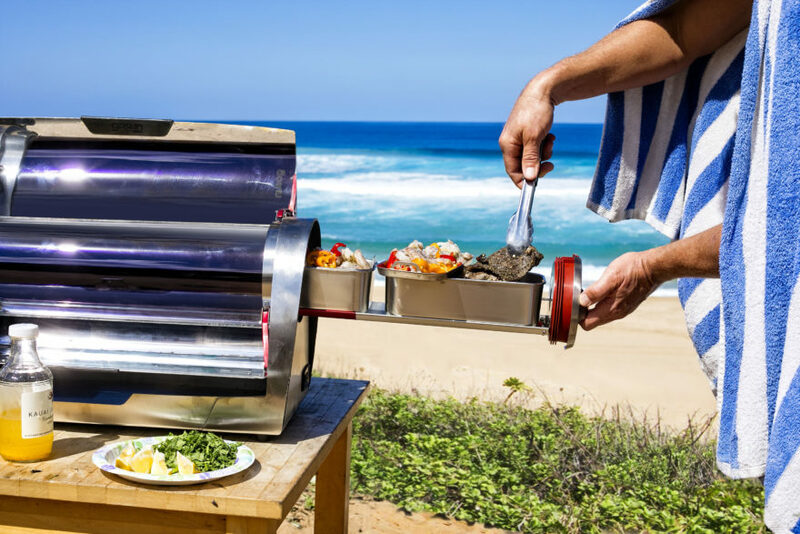 Well, what I learned is there is a new generation of solar ovens that are small, light and very efficient. This blog is not meant to be a review for that will come later. What I am only going to focus on is the technology from a company called GoSun. 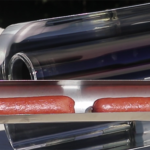 GoSun uses a space-age tube technology that can allow a solar oven to reach temperatures of 550F and can cook food in 20 to 60 minutes in most cases. It also does not even need full sunlight to cook. As long as you can see the line of a shadow the solar oven is going to get hot. It just might take a little longer to finish. The unit that I have been using is the GoSun Sport. It weighs 7 pounds and can prepare a complete hot meal for two people but if you incorporate garden salads, potato salad, coleslaw or other cold sides then you could easily feed four to five people. 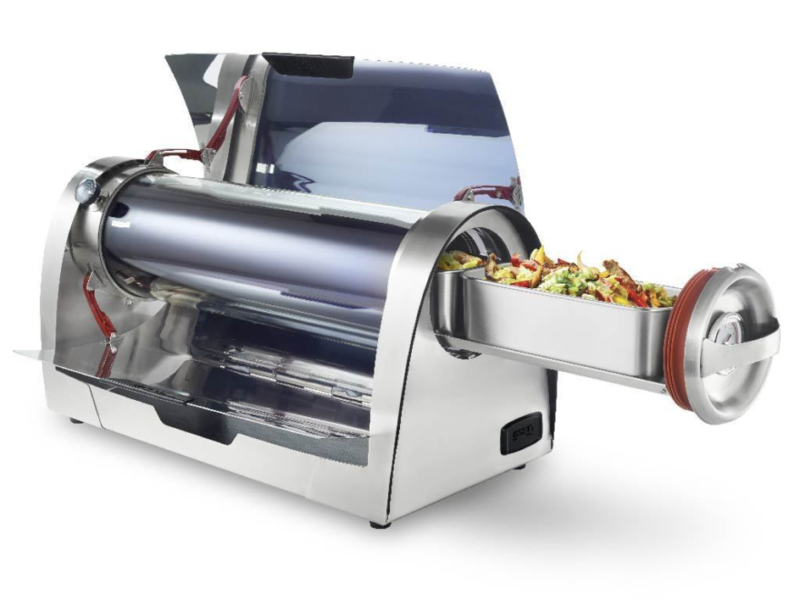 If you are in full sun this oven cooks so fast that while you are eating the main meal you could easily cook dessert. What I found out and what most people realize is this little oven gets REAL HOT and that eating lukewarm food is not going to be an issue. 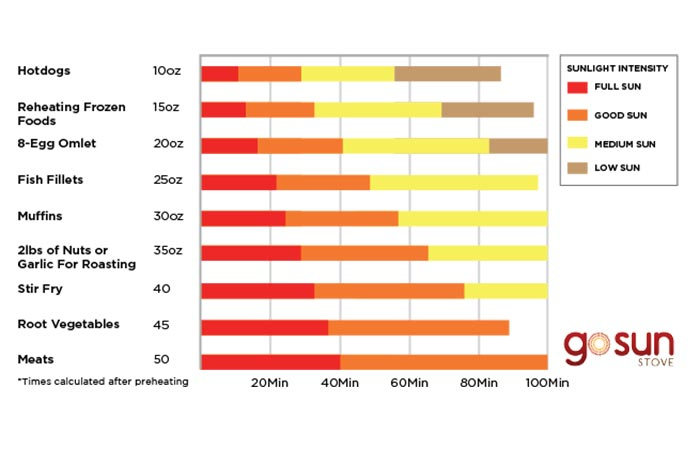 Here is a chart that shows you total cooking time depending on the Sun. Over the next few months, I will be doing a series of videos and blogs that will highlight the GoSun Sport model. 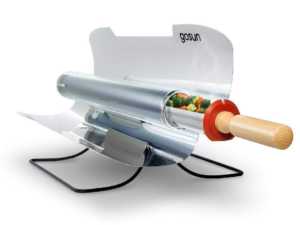 After that, I will be doing a series of videos and blogs on the GoSun Grill. 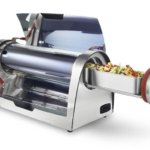 The GoSun Grill is the family size version that can easily serve eight to twelve people depending on the menu. For full disclosure, after using the GoSun Sport and realizing what a great product it was, I became a Brand Ambassador for GoSun. This means that I am compensated for any sales that occur based on my recommendation. 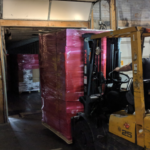 But you can also benefit just by reading this blog. 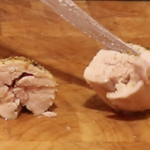 If you go to the GoSun website (link below) and purchase anything, including anything on sale you will get an extra 10% off if you use the promo code LEARNTOBBQ. Normally the GoSun Grill sells for $699. It is on backorder but because you will have to wait for it they have dropped the price to $599. If you order it using the promo code you would get an additional $59 off the $599 price with a final price of $540. A total savings of $159 or 22% off the retail price. Enough money to get the GoSun Go Portable Solar Cooker ($139) and still pocket $20.